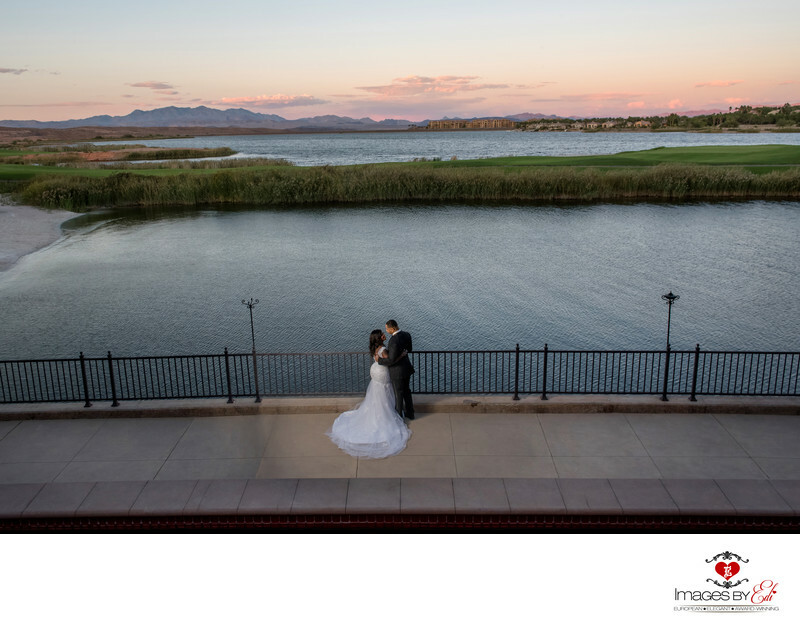 Westin Lake Las Vegas Resort is one of my favorite locations to photograph weddings, especially in the golden hour. There is a couple minutes, when the setting sun just does all the wonders to enhance the beauty of the mountains and the sky behind the lake. I photographed this image from the Lotus Court, so the lake, the mountains and the sky.